OG's mid-laner Sebastien '7ckngMad' Debs shared his thoughts on why the Majors have lost their prestige and what changes should be made to encourage tier 2 teams at the Minors. 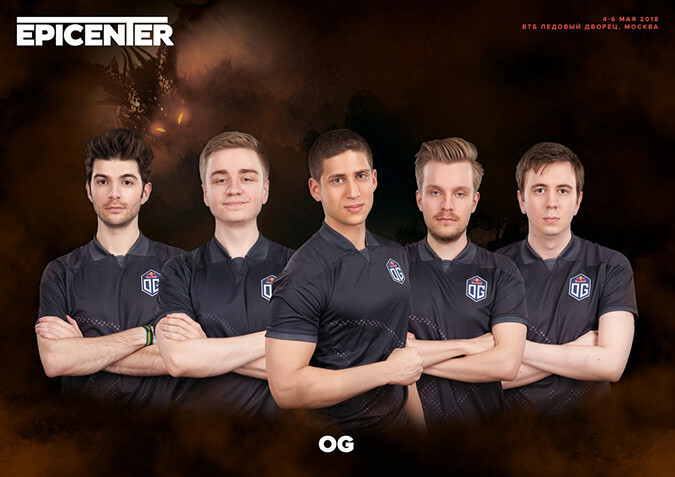 Following the departure of Roman 'Resolut1on' Fominok, OG's coach Sebastien '7ckngMad' Debs has stepped in to play mid for the team at several DPC events. 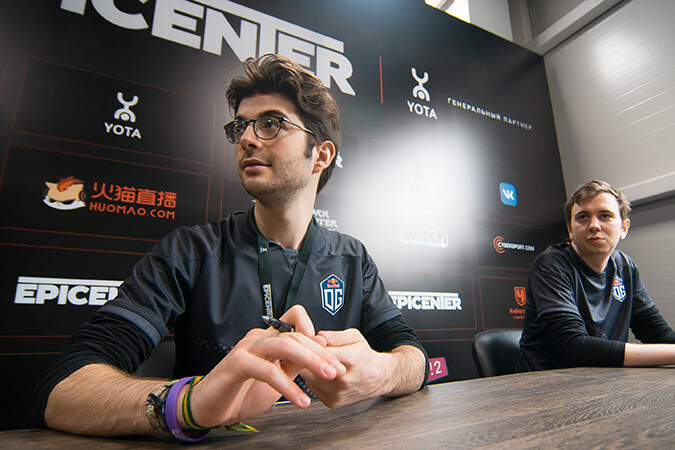 We caught up with the Frenchman at EPICENTER in Moscow for an interview, one which shed some interesting opinions on Majors, Minors and the impact of Valve's new patching policy. Malystryx: Before we dive in to talk about the DPC... As a follow-on to an article I did recently called DotaStruck4, I've been asking a few pro players here who they would consider the four most influential players in Dota. I was wondering who would you choose? 7ckngMad: "Mmm that's a tough one. I would put n0tail, I may be a little bit biased but in interviews he has a special way of talking about certain topics that not many people have. He talks about mindset, mentality, positivity, this type of stuff spreads and people can relate to it. I would also put Peter (PPD) in. He also brought a certain way of looking at things. He’ll say ‘This is how I look at team dynamics’ or for example in an interview he said ‘I’m not friends with any of my team-mates, we just go to events and play matches and that’s it’. Third I would say Fluffnstuff. This guy is incredibly smart about certain things, and it's always so refreshing for me to read what he writes, whether it's about team dynamic or public image. I would recommend you guys check out his blogs which he started writing again. Finally I would pick Dendi. Loyalty. The power of being the best player in the world at one point yet still extremely humble. Dendi had a way of dealing with things that was very unique that inspired a lot of people, and when you inspire people you make them question their way, you might reinforce their way of thinking or question it, that’s the best thing you can do when your a top figure and you know people will listen to you. If you can inspire people, it’s a great thing." Malystryx: You've mentioned players with the ability to inspire change, when it comes to the DPC what would you like to see change next season? 7ckngMad: "There’s definitely a big schedule problem, it got to the point now where you’re travelling so much you don’t have time to practice. You get off the plane then suddenly it’s a new patch, everything changes. We’re not trying to make Dota the best competitive game, where we break the game down to the finer details, which is what I love about the game. It’s a beautiful game but when you get a patch on the plane and have to figure it out in just several hours, random stuff is going to happen and it’s not going to make any sense from a competitive dota perspective. Schedule is a big problem, patches is a big problem." Malystryx: There seems to be somewhat of an obsession with DPC Points. How do you feel about the system? 7ckngMad: "I agree with the point you made about an obsession with points, but at the same time you need to come up with a system that’s fair for everyone, because if you had asked me to come up with a system I would have thought of one based on points. What I would like to see is a better separation between Majors and Minors. You can not invite top teams to Minors in my opinion. Minors I believe are to help develop the tier 2 teams, so if you’re going to invite Liquid, Virtus Pro, Secret, LGD or whoever to a Minor, we’re not talking tier 2 Dota anymore. It should be absolutely a standard for all Majors to be 16 teams, 8 invites, 8 regionals slots. Let the big teams prepare for Majors, for me personally the Majors lost their prestige. You’re playing so many tournaments you can’t even remember if it's a Major or a Minor. A Major, for me, were those tournaments where you know there is going to be a crazy brawl for 2 weeks where all the top teams are going to bring all the stuff they’ve prepared for 1 or 2 months. Chinese meta, European meta, it’s a mini-TI, it's a Major, where Dota is broken down to the perfect level and it’s beautiful to watch. Now it’s like everyone just finished reading the patch, they have a game to play so they’re like ‘all right let’s just try this’. The Majors don’t feel like Majors anymore, at least for me." Malystryx: How does a team even respond to a sudden patch..
7ckngMad: "You just try to talk about, take guesses, you’ve been preparing for 2 weeks certain strategies or certain aspects, and then everything changes. Then your like ‘is Wisp good?’, I don’t know.. Let’s try. (laughs)"
7ckngMad: "I’m not against patches, but teams should at least get some time to understand it before they actually have to compete. Or you’re telling me the approach that we’re taking is an approach that is purely about entertaining people? Then well I would suggest don’t bother yourself with patches, just force teams to play certain line-ups, you’re going to be super entertained... but I would stop competing personally because I’m not interested in that type of entertainment, but I’d be happy watching it. Patches are necessary but give these players the chance to break down the patch. I love it when they change stuff don't get me wrong, I don’t want the game to become stale, but before tournaments just perhaps be mindful of all the preparation that teams make." Special thanks to 7ckngMad for taking the time to do an interview with joinDOTA. Have the Majors lost their appeal? Should Minors not invite tier 1 teams? What do YOU think?